The cliché that baseball is a game of inches was never more true as the Mets came within a few of them of escaping St. Louis with a win Thursday. 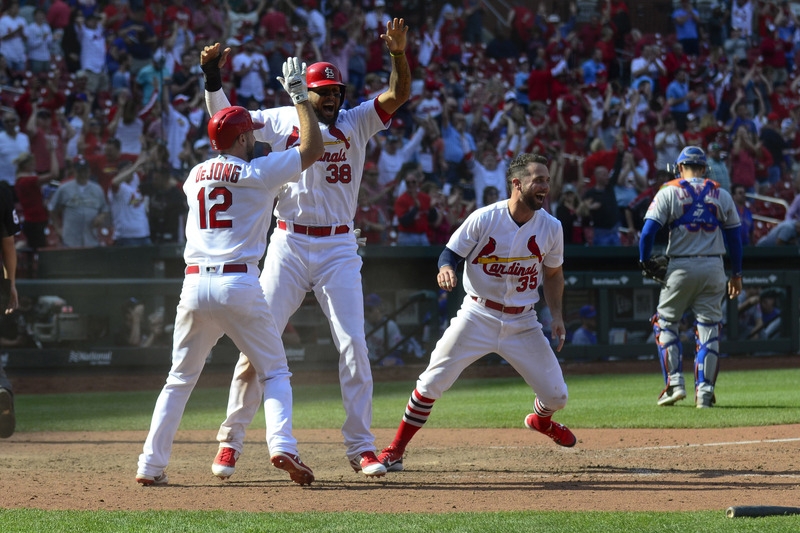 As the baseball hit off Jose Martinez’ bat eluded Juan Lagares’ glove in deep center field in the bottom of the 12th inning to tie the game, it marked the second time that afternoon that the team had snatched defeat from the jaws of victory. It’s a special kind of team to have two blown saves in one game. In distinguishing themselves, the team wasted an absolute gem from Noah Syndergaard, who protected a one-run lead through 7.1 innings, striking out seven with nothing but a no-decision to show for it. In the bottom of the eighth, Amed Rosario’s error gave the Cardinals a leadoff runner. Even though Syndergaard rallied to strike out Yadier Molina with his 100th pitch, Matt Carpenter singled on the 101st. Robert Gsellman inherited runners on the corners with one out, and promptly conceded a single to Tommy Pham on his first pitch, erasing the lead and wiping out Syndergaard’s effort. For much of the game, that effort seemed like it was going to be more than enough. The Mets had gotten on the board in the top of the first as Brandon Nimmo reached on a leadoff hit-by-pitch and scored on a double to left by Yoenis Cespedes. Cespedes accounted for the second Mets run with a sacrifice fly in the seventh that scored Rosario. Those hiccups aside, Cardinals starter Carlos Martinez went six innings, surrendering one run and striking out three. In the top of the 10th inning, the Cardinals pitched around Adrian Gonzalez to face light-hitting Jose Lobaton with the bases loaded. Lobaton drew a five-pitch walk, giving the Mets a one-run lead. Jeurys Familia got the Mets within an out of the victory in the bottom of the 10th, retiring the first two batters before Pham singled with his fourth hit of the game. Martinez crushed a ball to right of center field, and Lagares’ awkward leaping attempt in an unfamiliar ballpark allowed Pham to score all the way from first. The teams traded zeros, as clearly no one wanted to leave the ballpark until the 13th, when Martinez drew a one-out walk, moved to second on a Marcell Ozuna single, and scored on a Dexter Fowler single to Nimmo, whose throw to the plate was up the line. It was a Jekyll and Hyde routine from the Mets bullpen, as Seth Lugo and AJ Ramos provided scoreless frames in the ninth and 11th innings, respectively, while Gsellman and Familia could not keep the Cardinals from scoring. Paul Sewald, who came in in the 12th, was tagged for the loss, his first of the year. John Gant earned a win for the Cardinals with his three innings of relief. The Mets head to San Diego Friday, where they will take on the Padres at 10.10 p.m. Jacob deGrom (2-0, 2.53) will face Clayton Richard (1-2, 5.67).